Anthony's passion is working on cars in repair shops. 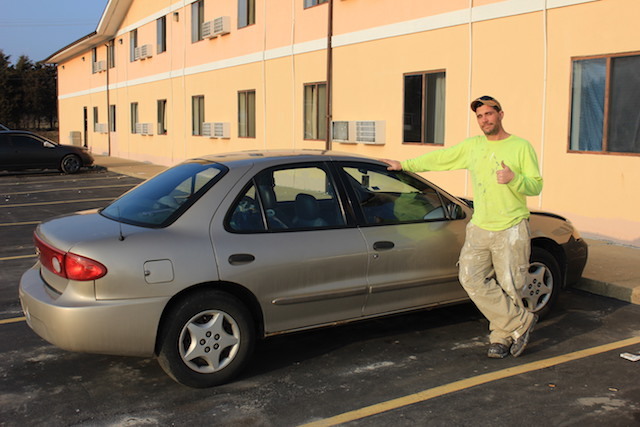 He helped another guest at the motel put his car door back on. On a single night in 2018, roughly 553,000 people were homeless in the United States, according to the U.S. Department of Housing and Urban Development. In Missouri, that number was 5,883. But thanks to a new program called Coordinated Entry, which combines access to resources, organizations and programs for the homeless in just one phone call, that number is being reduced. According to Coordinated Entry, the sheltered and unsheltered count on Jan. 31, 2018, in St. Charles was 532 people. This was an 8 percent decrease from the 2017 count. Seven Coordinated Entries for Missouri Continuums of Care exist in Missouri, one of them being Community Council, which covers Lincoln, Warren and St. Charles counties. Coordinated Entry project manager Jamie Flores helped launch the program a little more than a year ago with Community Council. “[Coordinated Entry] has helped agencies build relationships, which has helped get clients into housing faster,” Flores said. More than 100 organizations have contributed to Coordinated Entry. Some of the agencies are government-funded, while others are funded by donations from the community. 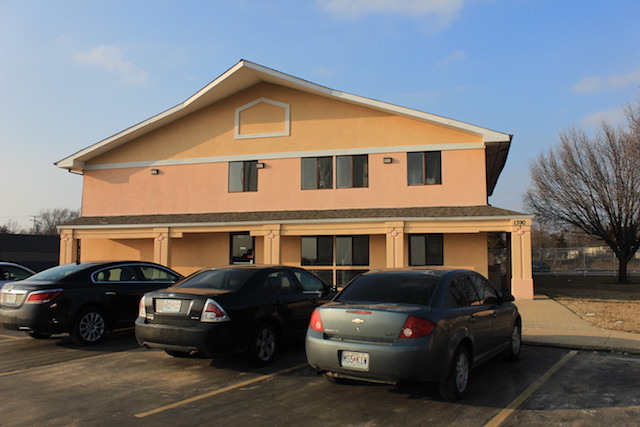 One of the organizations Coordinated Entry refers clients to is First Step Back Home, a faith-based non-profit, founded in March 2010 by Paul and Lana Kruse. It runs on donations from the community, churches and local businesses. First Step Back Home has been working with Coordinated Entry since the beginning. 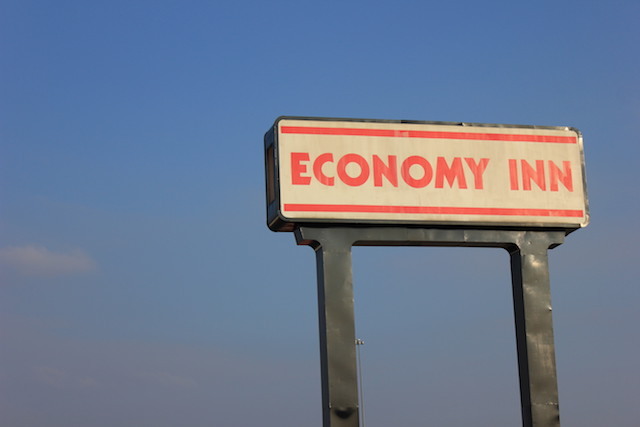 Economy Inn, a motel in Wentzville, while they are looking for jobs and stable housing. It also works with churches and community groups to create a calendar of nights where a meal is served to the clients at the motel. Assumption Catholic Church of O’Fallon serves two meals a month, and LaVina Eickoff has been coordinating the effort since 2013. 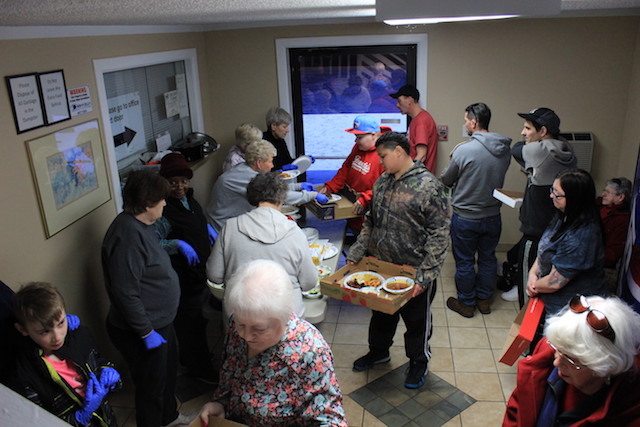 The group has more than 75 members who gather and cook the meals that are brought to the motel. “I enjoy it because I see the people with smiles on their faces, and they say ‘Thank you, thank you, I’m hungry,’ and they appreciate it and enjoy it,” she said. Ashley and Eric had been staying in the Economy Inn for about five weeks when they were interviewed for this story in March. The couple and their four children have been bouncing between places since November 2018. “With a big family, it’s hard to find somewhere to stay,” Eric said. Ashley is currently working as a certified nurse’s assistant while Eric does seasonal construction work. “We have a hard time getting accepted [for housing] because I have a felony background,” Eric said. He has been charged four times for driving with a suspended license, in addition to a felony charge for child non-support and a drug possession charge from 2005. “I’ve stopped [doing drugs] since then, I’ve changed, but [the record] still follows me,” he said. Ashley called Coordinated Entry and was connected to the Kruses. The Kruses helped them pay for their stay at the motel until they were able to pay on their own. They currently pay $80 a night for one room and are hoping to get a place after Ashley’s tax return comes in. Randy became homeless after a room-sharing arrangement with a woman he met didn’t work out. After the fighting between the woman and her boyfriend got worse and she accused Randy of using her credit card, she kicked him out. Around the same time, he was laid off from his job at a concrete plant. At the time of the interview, Randy had been living in his car for three weeks. First Step Back Home had helped him previously when he didn’t have a place to stay, but he is currently getting help from St. Vincent De Paul, which paid for his night at the motel that night. When he called Coordinated Entry, he said they can only do so much. Randy said he believes Coordinated Entry needs to work out some problems. For instance, he believes some people abuse the money and free stays at motels. Flores said once a person has exhausted all the resources available through Coordinated Entry, a team member will have a discussion with him or her about what isn’t working. Anthony had a decent life with a home, a wife and cars, until his wife died, and he went to prison for her death even though he said he had nothing to do with it. He originally was charged with second-degree murder but took a plea deal and went to prison for four years for involuntary manslaughter. He said it was hard for him once he got out. He couldn’t even tell which way was up. He said things started to turn around for him after he got the number for Coordinated Entry. After Anthony was connected with First Step Back Home, he has been able to stay in the motel, get a bike for transportation and get the medicine he needs. Since he started staying at the motel, Anthony had gotten a job at Kentucky Fried Chicken, where he had been working for five days at the time of the interview. He either walked or biked the nearly three miles to KFC from the motel. Since the launch of the program, Coordinated entry received more than 6,700 calls and assessed 3,312 of those calls in 2018. Flores said the biggest challenge for the program is lack of capacity to be open 24/7 and lack of staff to take every live call. Flores said that the solution is to continue hiring more staff, and another position was recently approved. “Being a new program, we are constantly evolving to better meet the needs of the community and are always open to suggestions,” she said. To contact Coordinated Entry, clients must call 211. They dial 5, their ZIP code and then 3. They will then be directed to the Coordinated Entry based on their location. According to Flores, calling Coordinated Entry is not a one-time thing. Clients are encouraged to stay in touch.